In a small bowl, combine mozzarella cheese and 1 egg white; set aside. Drain spaghetti; add Parmesan cheese and remaining egg whites. Press onto the bottom and up the sides of a 9-in. 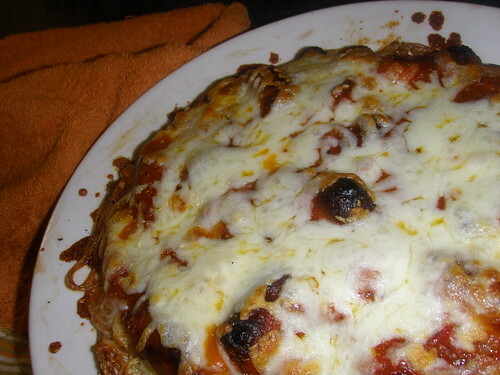 deep-dish pie plate coated with cooking spray. Spoon mozzarella mixture into crust. Bake, uncovered, at 350° for 20 minutes. Bake 5 minutes longer or until cheese is melted and filling is heated through.